response from property - Feb 01, 2019 Thanks Adam! We think you're pretty awesome too! Great location and amenitiessubmitted by Jay G. - Nov 26, 2018 |Recommended: YesI really enjoy living here. The parking garage is my favorite amenity along with the fitness center, which is large and well equipped for an apartment complex. My unit 2 bed on the 4th floor is very efficient resulting in very low utility bills. My only complaints are the lack overhead lighting ceiling fans, which I feel for the rent price should be included, and the gates to the parking garage which seem to break down frequently. But overall I am very happy living at Highland Row and will definitely renew my lease when the time comes. response from property - Nov 29, 2018 Jay, thank you for the great review! 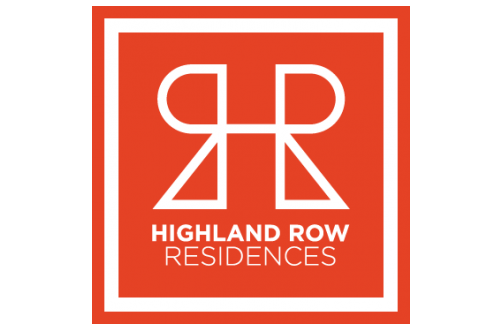 We are happy that you have chosen Highland Row and will continue to make your experience better! Apartments are nice, but walls are too thinsubmitted by Ana P. - Nov 02, 2018 |Recommended: YesOverall, I enjoyed living here for the past 11 months, but I would probably not renew my lease if I weren't already moving to a different city. I had to make MULTIPLE noise complaints about neighbors being too loud playing loud music to the point where my walls were shaking and people being out in the courtyard drinking alcohol yelling in front of my window until 1 00am multiple times a week. I could tell things started to improve after the recent change in management, though. I appreciate whoever is in charge now and can tell that she is dedicated to her job as property manager and ensuring the community is the way it should be. The apartments are beautiful and I had no issue with mine with the exception of super thin walls . I had a huge issue with fruit flies but that eventually resolved. I'm assuming it was from people leaving their trash cans out in the hallway for too long, because once I noticed a change in that, the flies went away. Office staff has, for the most part, been great. Ashley was a huge help since the day we moved in. response from property - Nov 09, 2018 Thank you so much for the honest review. We are sad to see you go but appreciate your feedback so we can continue to improve all residents' experience here at Highland Row. Best of luck to you and if you ever come back to Memphis, we hope you come see us! response from property - Nov 09, 2018 Thank you for the great review! We truly appreciate you and choosing Highland Row! Great Location, Nice Modern Design, Great Amenitiessubmitted by Kelsey R. - Sep 10, 2018 |Recommended: YesThis was my first one-bedroom apartment out of college. I've loved having the privacy of my own space but also the opportunity to be in a great location. There are always people walking around Highland Row and Highland strip. There is easy access to all of my favorite places and events and it's a safe and clean community. response from property - Sep 12, 2018 Kelsey, Thank you for the great review and we hope that you continue to enjoy your time here! Please let us know if you need anything. Beautiful Apartments in Great Locationsubmitted by Jordan M. - Aug 01, 2018 |Recommended: YesRent is a bit more than expected, but for the location and safety it is worth it. Lots of places to eat nearby. response from property - Aug 23, 2018 Thanks Jordan, for the good review! We truly appreciate you calling Highland Row your home! Please let us know if we can be of any assistance. Love my Armstrong apartmentsubmitted by George G. - Aug 01, 2018 |Recommended: YesI recommend the row to my college friends that attended the UofM because it near campus and other campus events. response from property - Aug 31, 2018 George, Thank you for the 5 star review! Extremely nice apartmentssubmitted by Charlotte J. - Jun 30, 2018 |Recommended: YesIt's a very safe, secure place to live in this area of town. Also very close to campus and has amazing floor plans. Great place.submitted by Chad C. - Jun 01, 2018 |Recommended: YesVery cool place to live. response from property - Aug 23, 2018 Thanks Chad for the good review! We truly appreciate you calling Highland Row your home! Please let us know if we can be of any assistance. response from property - Aug 23, 2018 Thanks Matthew for the good review! We truly appreciate you calling Highland Row your home! Please let us know if we can be of any assistance. Great Living, Great Location for a Price submitted by Trevor E. - May 05, 2018 |Recommended: YesOne of the best apartments in Memphis to live in based on amenities and location. Some buildings do get better access and affordability than others. It's all about getting the best location at the apartments. The bottom line is that you have luxury living so close to campus with great local shops at a local convenience. response from property - May 06, 2018 Thank you for the 4 star review Trevor! Always, let us know if there is anything we can do for you! response from property - Aug 23, 2018 Thanks Anne for the good review! We truly appreciate you calling Highland Row your home! Please let us know if we can be of any assistance. Good place to rentsubmitted by Scott H. - Mar 30, 2018 |Recommended: YesHighland Row is clean environment to live, the staff respond to issues quickly, and the other residents don't cause any issues. response from property - Aug 23, 2018 Thanks Scott for the good review! We truly appreciate you calling Highland Row your home! Please let us know if we can be of any assistance. response from property - Aug 31, 2018 Thanks Marjas for the good review! We truly appreciate you calling Highland Row your home! Please let us know if we can be of any assistance. Good but Noisysubmitted by Leslie F. - Mar 19, 2018 |Recommended: Yesoverall the apartment and complex are great. Noise is a big issue though. I can here my next door neighbors pretty well and my upstairs neighbor sounds like they are stomping at all hours or the day. Unsure if it is the because of thin walls or they are just extremely noisy people. Trash pick up is another issue. People on my hall don't follow the pick up schedule or rules for setting trash out, therefor trash is left out all the time. response from property - Aug 23, 2018 Thanks Matthew for the good review! We truly appreciate you calling Highland Row your home! We hope that you have seen a difference in the trash over the last few weeks. Please let us know if we can be of any assistance.